According to the latest press release by UkrOboronProm, Ukrainian State Enterprises (DPs) Malyshev Plant and Kharkiv Morozov Machine Building Design Bureau (KMDB) are preparing to deliver a batch of T-84 Oplot "Fortress" main battle tanks (MBTs) for trials by the Ukrainian Armed Forces. The tanks were repaired at Malyshev Plant where it had undergone inspection, restoration of all major units and other aggregates had been completely replaced. And, currently these repaired tanks are undergoing modernization process at Morozov Machine-Building Design Bureau which includes replacement of electronic systems, installation of protected digital radio stations and upgradation of tank sighting system. "The work carried out by Kharkiv enterprises is aimed at repairing and upgrading combat vehicles, which will be subsequently transferred to the Ukrainian Armed Forces," the statement reads. 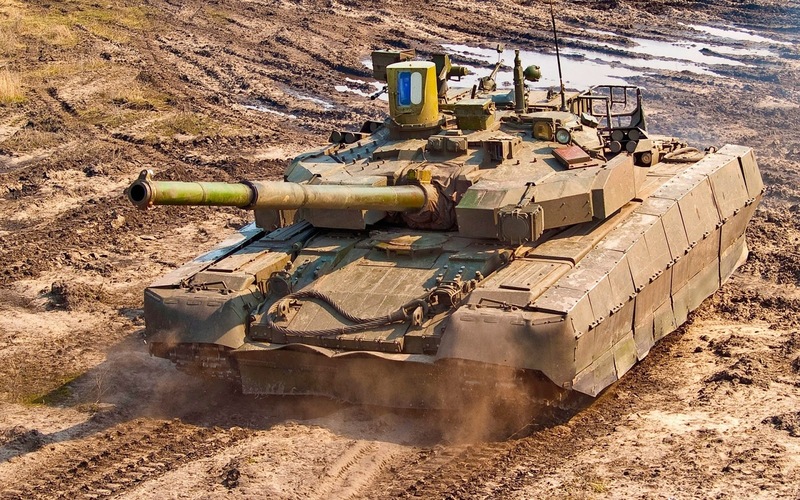 Ten T-84U tanks were produced before 2014 and were placed in storage. Six of these tanks are currently being restored to active service. The remaining four and ten additional T-84 tanks were ordered into service or production by Ukraine in February 2018. 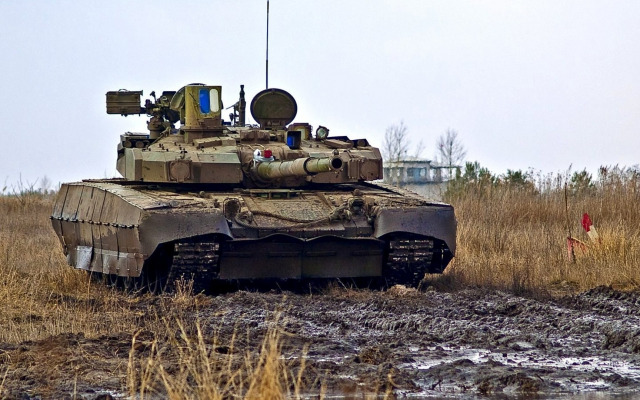 The T-84 Oplot "Fortress" is a new type of main battle tank that was redesigned and developed by Ukraine in the 1990s. The tank is a modified version of the earlier T-80UD. The Oplot boasts a new welded turret with separate crew and ammunition compartments with blowout panels on the ammunition compartment. It is armed with a 125mm KBA3 smoothbore gun and bustle-mounted automatic shell loader, which can fire numerous types of tank shells and anti-tank guided missiles. Its defensive systems include the Nozh explosive reactive armor, Varta soft-kill active protection suite (APS) and, in time, Zaslon hard-kill APS. 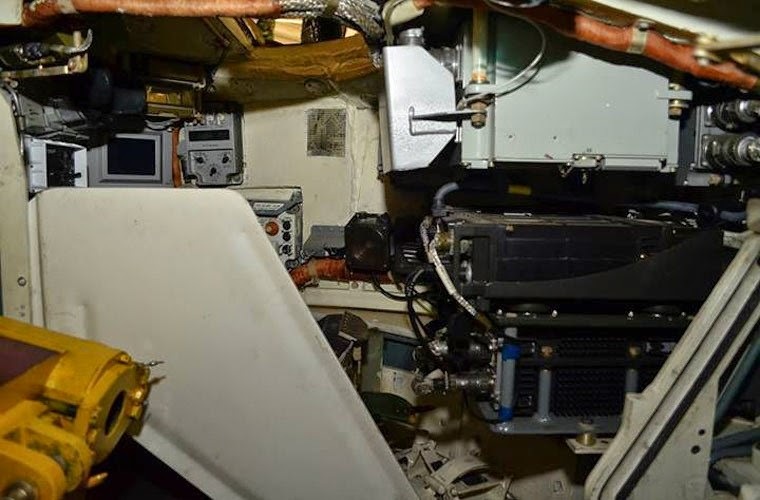 The advanced fire control system enables the gunner or commander to lay and fire the main armament on the move. and also allows it to fight at night and in bad weather conditions. The vehicle has three forward-facing periscopes in front of the driver's cupola. The center periscope can be replaced with a night driving device. It also includes a gunner's day sight, PNK-6 commander's panoramic sighting system, PTT-2 thermal imaging sight, anti-aircraft sight and anti-aircraft machine gun control system. The detection range of targets for thermal sighting system is up to 8 km. The tank is also equipped with LIO-V ballistic computer, armament stabilizer and other systems. The T-84 uses the 6TD-2 diesel engine and its output can reach 1200 hp. Its high-performance opposed-piston engine makes it one of the fastest MBTs in the world, with a power-to-weight ratio of about 26 horsepower per tonne (19 kW/t). 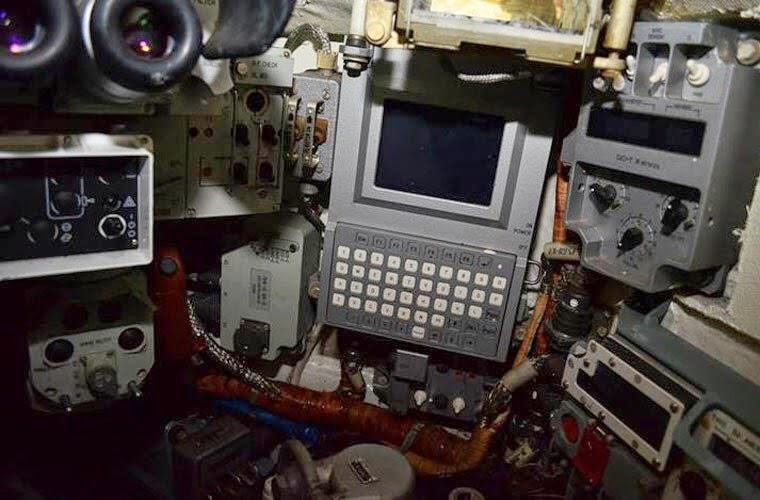 The battle tank is also equipped with a diesel-electric auxiliary power unit (10 kW) to supply power to onboard systems when the main engine is turned off. When driving on the road, the maximum speed can reach 70 kilometers per hour. In the cross country, it can achieve an impressive 50 kilometers per hour. KMDB has also developed an automatic transmission control, which allows rotation of the tank using the steering wheel instead of levers, which greatly simplifies the tank operational processes and at the same time makes it more agile and potent. The Oplot is equipped with torsion bar type suspension. Either side of the six dual rubber-tired road wheels is provided with idler at forward, drive sprocket at the rear, and track support rollers. The first, second and sixth road wheel stations are fitted with hydraulic shock absorbers. The tank can negotiate a gradient of 320 and side slope of 250. Equally, the tank can ford a water depth of 5m using deep water fording equipment. 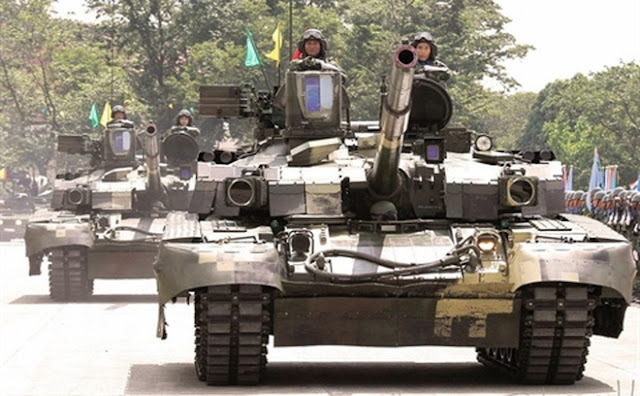 In 2011, Thailand placed a $240 million order for the purchase of 49 Ukrainian-made T-84 'Oplot-M' MBTs plus a number of support vehicles with Ukrspetsexport, a Ukrainian state-owned defense contractor. As of November 2017, 31 tanks have been delivered. Though Ukraine’s strife with Russia resulted in several major delays, causing Bangkok to supplement its Oplot-M order with a purchase of VT-4 MBTs from China. However, the purchase was not canceled and Thailand is in the process of receiving the Oplot-Ms from Ukraine. 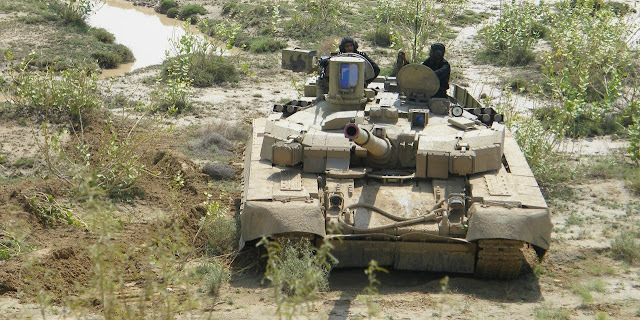 The Oplot-M was one of the tanks competing for the Pakistan Army’s Haider MBT requirement, which was envisaged to help propel the Army’s armor modernization goals and support the al-Khalid MBT. In April 2017, Ukrainian Newspaper Delovaya Stolitsa interviewed Pakistan’s Ambassador to Ukraine Maj. Gen (retired) Athar Abbas, who told Delovaya Stolitsa that Pakistan could be interested in 100 Oplot MBT. He also quoted that the negotiations will start once the final tests are completed (were scheduled in the second-half of 2017). 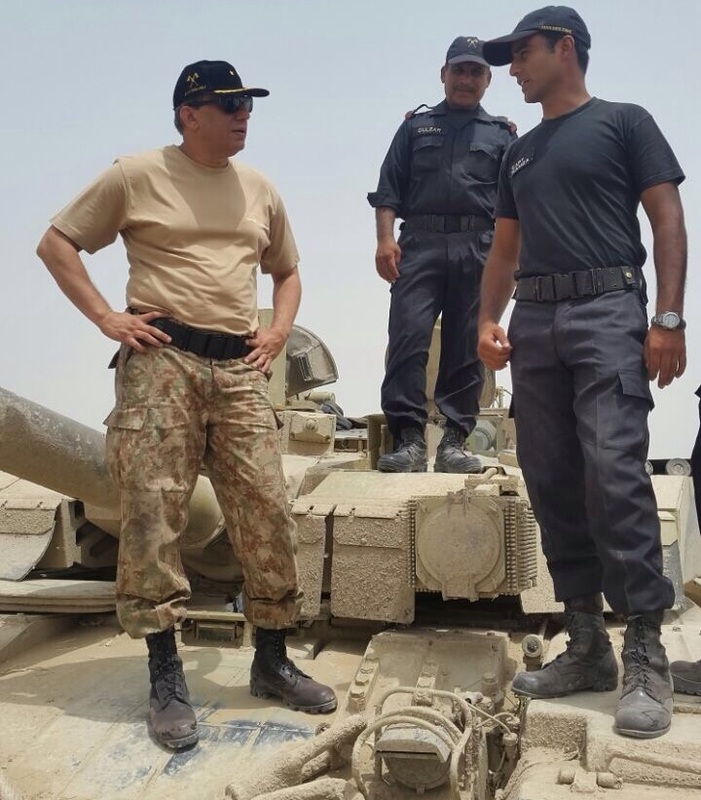 Eaerlier in 2015 and 2016, Pakistan tested a version of the Ukranian Oplot-M and the Chinese Norinco MBT-3000. Supposedly, the results were in favor of the Ukranian tank.